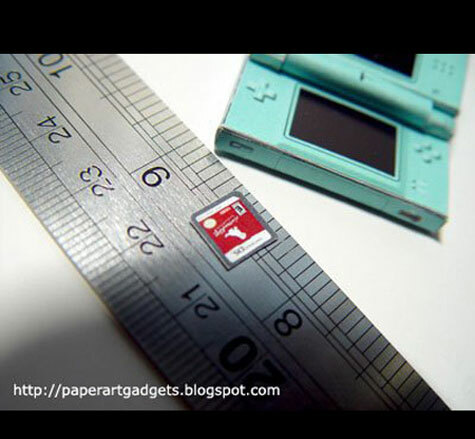 This amazingly detailed papercraft Nintendo DS Lite even has a working hinged case. 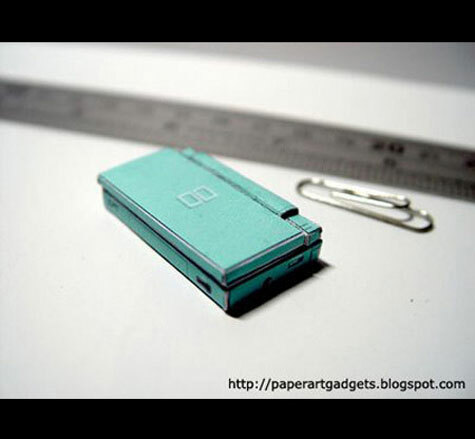 This tiny papercraft model of an ice blue Nintendo DS Lite created by a really dedicated (and really patient) gaming fan. Even though it’s only slightly larger than a paper clip, this mini DS Lite features an a amazing amount of detail. 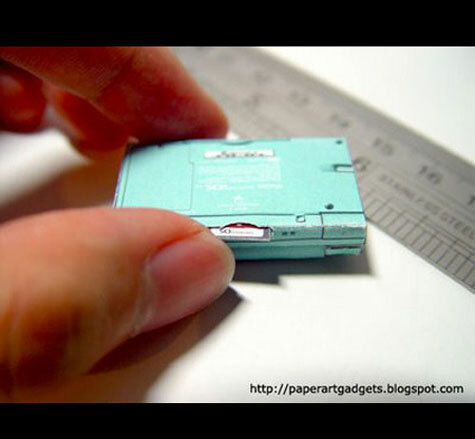 With a steady hand, some glue, a knife and a couple of other office supplies, artist SonicScape Jun created this tiny little DS. 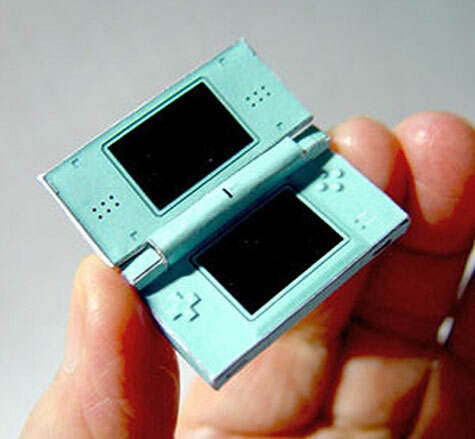 The petite DS even features a working hinged case (held together with a toothpick), and even has a teensy little Nintendogs cartridge you can plug into it.